If you’re looking for a new molle compatible, tactical radio pouch then you’re in the right place. This MBITR radio pocket has been created to fit the PRC-148 radio. 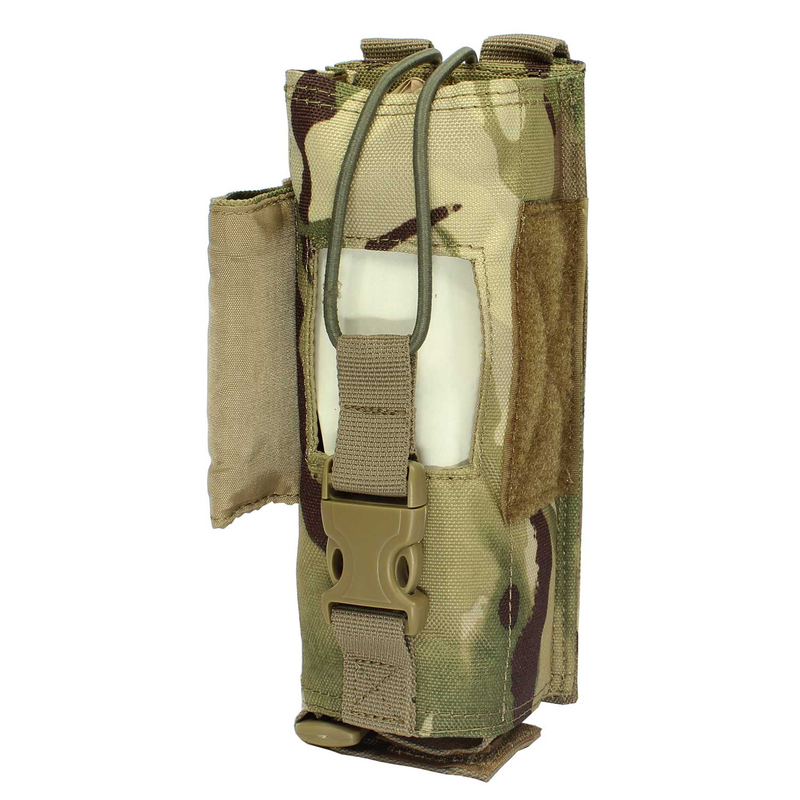 The holster has been built from strong 1000D nylon textile in MTP pattern making it suitable worn with the most recent multi terrain pattern garbs and gear. 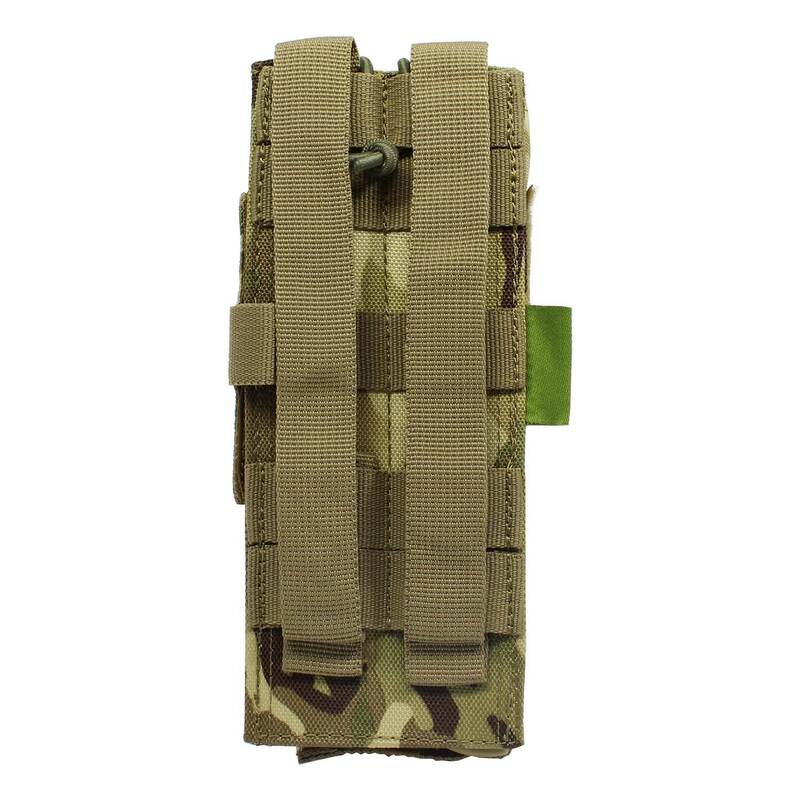 MOLLE strips on the back of this radio holder mean that it will fit on most MOLLE/PALS webbing bundles including OSPREY, patrol vests or on your Bergen. The front pocket on the radio holster includes a cushioned cover with Velcro affixing and pull tab to secure the screen and furthermore give fast access to any setting changes you may need to make. The cover can be pulled back and secured to keep it out of the way while working your radio. The radio is held into the pocket by means of securing a strap that is strapped into place with a 30mm QR clasp. 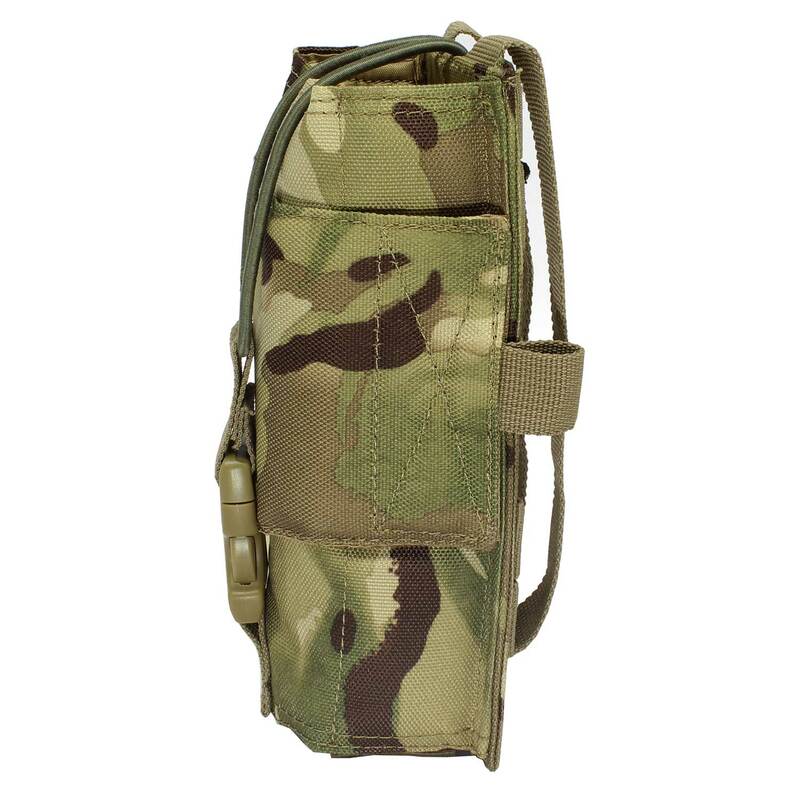 This tactical radio pouch also includes a strengthened back and speedy hook and loop system for quick battery changing. 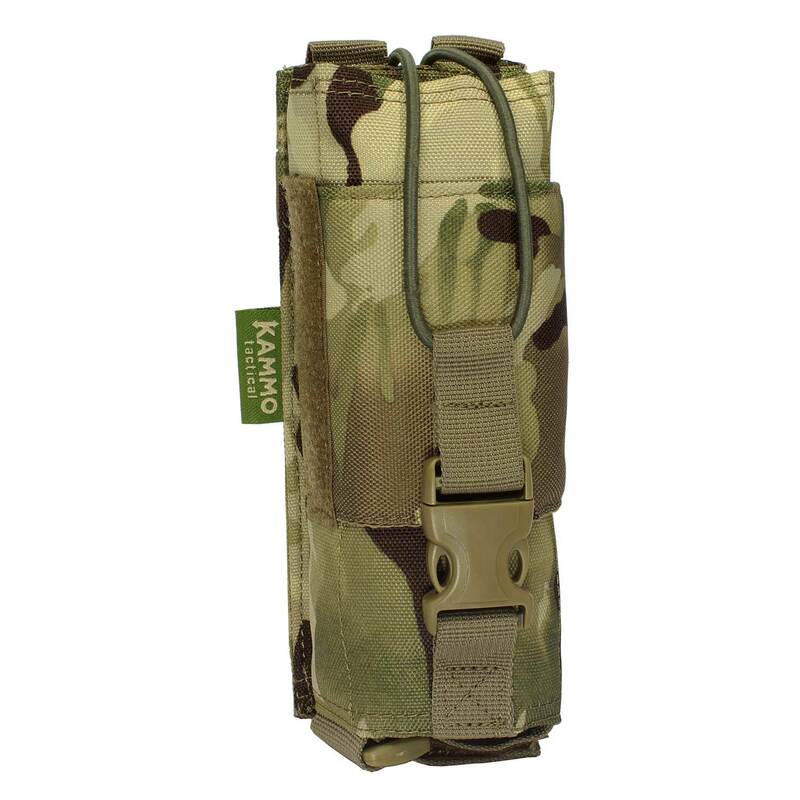 The Kammo Tactical range continues to grow and with it it’s reviews. Read our most recent review by Combat & Survival here. If you’d like to order yourself a new molle radio pouch please visit this link – here.